It's good but it just needs a few things to be perfect: 1. The option to choose bellows direction when pressing and releasing 2. Registers! Like LMMMH for sounds like true musette, oboe etc. 3. BASS BUTTONS PLEASE!!! We need BASS BUTTONS!!! Super for beginner and advanced accordionists! You can only poke at the accordion buttons on this app designed for the smaller iPhone & iPod Touch -- so don't expect the playability you'll find on the iPad version. Essentially, only very slender (child sized) fingers will be able to play chords easily. That said, this is still a great tool for working out songs in situations where the others around you may not appreciate you pulling out an accordion -- like on your morning bus commute, or lying next to your spouse at night, in bed. Because of the small size of the screen, this app version has missing buttons. But word is that an update has already been submitted that will allow users to shift missing keys into view. Of course, if you own an iPad you'll want to get that version instead. But again, this is great app for working out melodies and for the ability to see the notes on the buttons. Great sound! I wish there was a way to zoom in and make the buttons bigger for the iPhone. They should really check out Accordio and take some tips from that app! Maybe GABBANELLI accordions will step up to the plate and hit a home run! 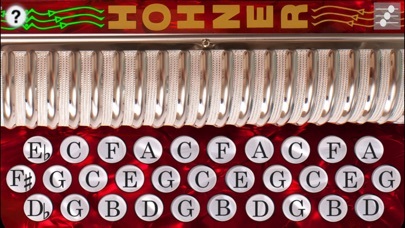 Hohner should have all the accordions in one app instead of trying to sell different accordions in one app! All in all I give it . it's ok for the price! If you get no sound, turn off your mute switch! I was having doubts as to the price but wow does this app work the sound is so realistic the response time is incredible i tought there was going to be a delay but wow wonderful app great for practice when accordion is not arround i might even use it for live performance thats how good it is! Just what I was waiting for!! 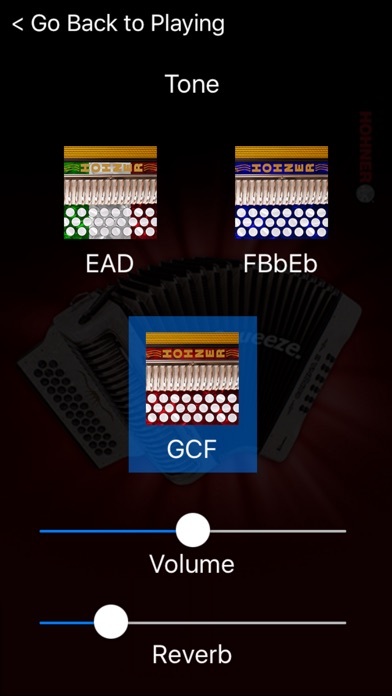 This app is a must have for all accordion fans and users!! Now I'm going to practice way more often!! 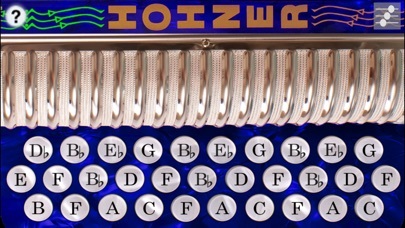 Good app sounds good like my real hohner ha! It's a great app, my pops who's been playing the accordion for over 40+ years, got a kick outta this app. This is an awesome app, it really does sound like the real thing. Great work. I looked for one awhile back and just found piano ones, lame, this is what I was looking for. 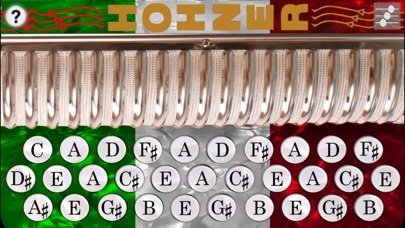 And a hohner one at that. This is a great app. Its like carrying your own accordion in your pocket. You can jam out with it! I use it for spanish songs, i recomend this app, Just wish that all the tones could be together in one app worth $1.99. Either than that Great Job! It's a good app and sounds good, but needs a lot of work. It's not even optimized for the iPhone 5. It gets really laggy and will freeze often and the sound just gets stuck on a certain note until you push a different note, and I'm using an iPhone 5 which has a faster processor than an iPhone 4S. Needs a lot of optimization. Sound is good though, when it works and helps you learn how to play an accordion. Pero alguien sabe donde puedo encontrar algunas notas? This is to cool and helps alot. Thanks for the app. Just downloaded this and it doesn't work. No sound comes out.